If you are searching for the best therapeutic and medical quality aesthetic services available, Soma Medical Spa is the place for you! We provide non-surgical, medical aesthetic procedures in a serene environment focusing on each patient’s unique needs and goals. We are proud to offer cosmetic injectables IPL skin rejuvenation, laser hair removal, HydraFacial MD, chemical peels, and physician-directed skin care. We strive to enhance our patients’ natural beauty as well as improve their overall health and wellness. Meet Dr. Ricardo Ramirez, one of our two highly trained and experienced doctors who work hard to deliver quality care. Dr. Ramirez graduated from the University of California, Berkeley, where he received his Bachelor’s degree in Integrative Biology. He received his medical training at the Keck School of Medicine at the University of Southern California, with his residency completed at LAC+USC Medical Center. 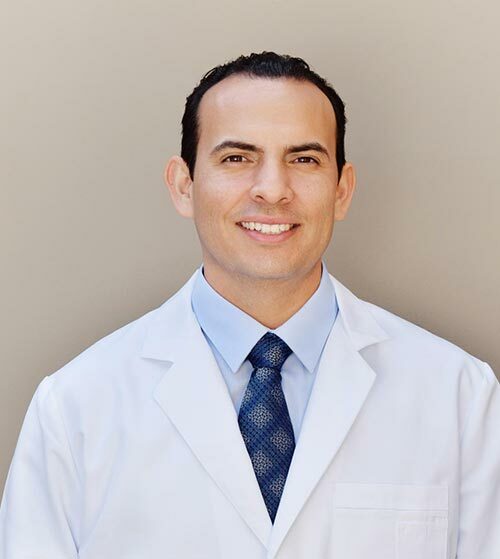 Dr. Ramirez received his medical aesthetic training at the International Association for Physicians in Aesthetic Medicine, the Esthetic Skin Institute, and continues to be an active member of IAPAM. Dr. Ramirez developed a particular interest in the interplay between wellness, self-esteem, and beauty. He is excited to bring his extensive medical knowledge and skills to help his patients achieve their desired beauty goals. Dr. Ramirez and our team at Soma Medical Spa believe our patients deserve nothing less than treating them with respect and compassion. We are passionate about what we do, and we will take great care of you. We are committed to what we do best, making people more comfortable in their skin. We take pride in offering the latest cutting-edge technology and aesthetic medical procedures to provide you with a quality care plan tailored to your individual needs and goals. Dr. Ramirez would like to invite you to visit us at Soma Medical Spa, your state-of-the-art destination for quality health and wellness services. We proudly serve the communities of Glendale, Eagle Rock, Pasadena, Highland Park, Burbank, and the greater Los Angeles area. We strive to deliver outstanding service to you, every time you visit us!